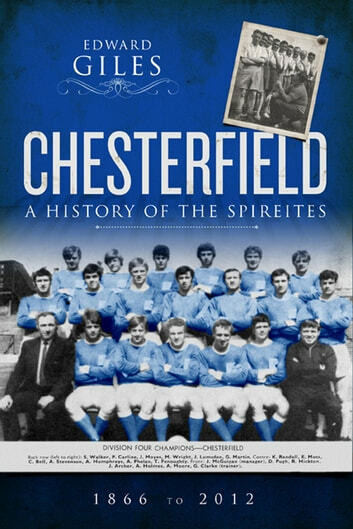 This is the story of Chesterfield FC, not the most fashionable of football clubs, but one with a history full of incident. Even the exact date of its formation is in doubt, and the current club is actually the fourth to bear the name. Most of its life has been spent outside the top two divisions, but it is among the few clubs from the lower sphere to have reached an FA Cup semi-final and have claimed victory over the then mighty Rangers, on the way to winning the Anglo-Scottish Cup. Amid the relegations and promotions the club have fallen foul of the soccer authorities and have had a former chairman who was sent to prison. At the other end of the scale Chesterfield have won promotion under the handicap of a points penalty for fielding an ineligible player. You will read of the Toff, the Chief, Bruno, Gentleman Jim, Pineapple Head, a very different kind of Mr Bean, and the strangest FA Cup-tie of the season. 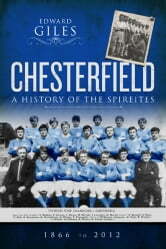 Some of the biggest names in the game have worn the colours of the Spireites, as they are known after the towns freakishly twisted church spire. These have included a speciality in goalkeepers notably Sam Hardy, Gordon Banks and Ray Middleton.